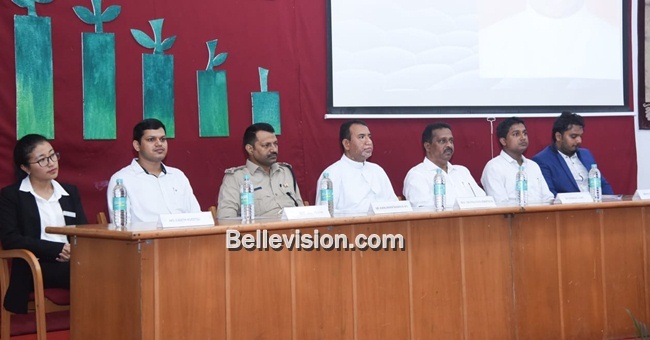 Mangaluru, 09 Aug 2018: Students need to have a proper planning of their career, said Hanumatharaya, DCP, law and order Mangaluru City Police. 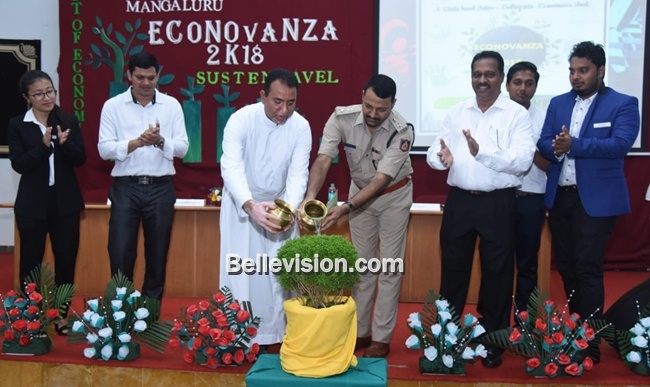 He was speaking after inaugurating the State Level Economics Fest, Econovanza 2018, organised by the department of economics, St Aloysius College (Autonomous) Mangaluru on August 7. The fest was inaugurated in an innovative way by watering a plant by all the dignitaries present during the function. ‘Share, care and fair are 3 actions one needs to practice in his or her life,’ expressed Fr Dr Praveen Martis SJ, principal. He called the students to develop imagination, innovation and creativity. ‘If we have to grow as a person, and be competent creativity in our work is needed. 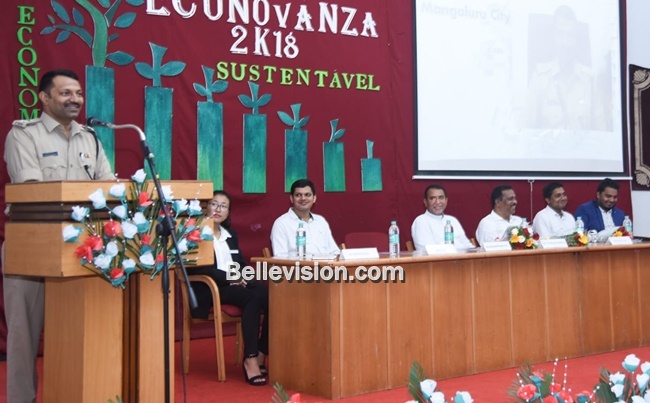 He congratulated the Economics Department for organising Econovanza with befitting theme of sustentavel (sustainability), which is the need of the day. The inaugural concluded with the vote of thanks given by Judith, the student coordinator. 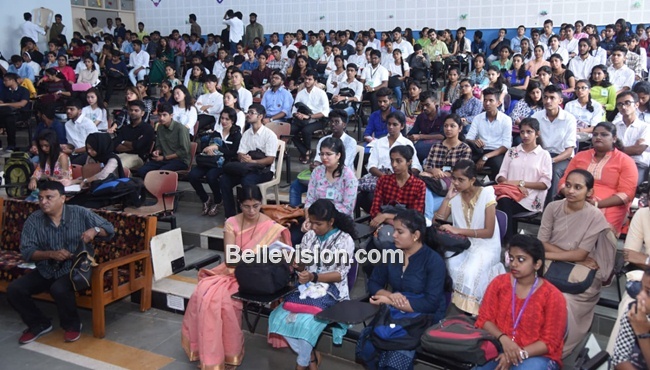 Dr Norbert Lobo, head of department of economics; Alwyn Misquith and Reji John, staff coordinators and Judith and Suhan Alva, student coordinators were also present. Karuna Lobo compered the programme. Nineteen colleges participated in the fest which included 10 different events related to Economics. Alwyn Misquith, the staff convener formally welcomed the gathering. It was followed by an Econovanza Theme song, composed by Savio and team. 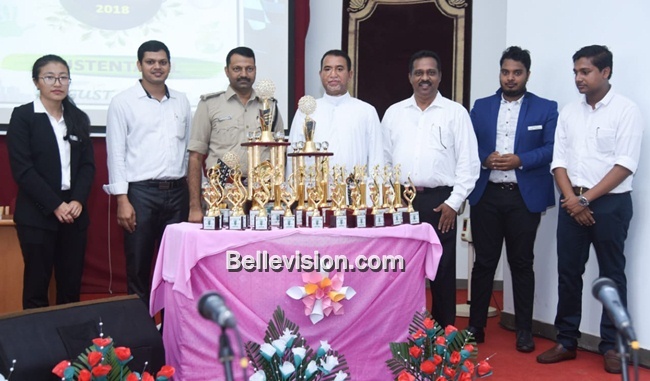 Fr Melvyn Mendonca, principal was the chief guest and Arjun Kapikad, Tulu movie actor was the guest of honour during the Valedictory Programme. Arjun called on the students to be serious in everything they do. There is no short cut to success and said failure and success are the two sides of the same coin. Poornaprajna College, Udupi emerged as the overall winners and Dhavala College, Moodbidri bagged the runners up trophy. Other prize winners are St Agnes College, SDM College of Business Management, Mangaluru, Govt First Grade College Haleyangady, Besant Evening College, Mangaluru, University College, Mangaluru, MAPS College, Mangaluru Canara College, Mangaluru, Cauvery College, Gonikoppal, SDM College, Udupi.